If you're looking for simple way to set your vehicle apart from the crowd, All Sales Mfg billet aluminum grille emblems are the perfect choice. Not only are these available in multiple styles, they're also tough as nails. No matter the style your ride, as long as it's a Chevy or GMC, AMI has an option for you. 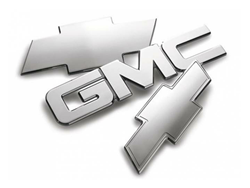 All Bowties and GMC logos are available in chrome, mirror polished, and black powder coat finishes, as well as with or without a machine etched border. Each piece is CNC machined from a piece of billet aluminum giving your vehicle a cleaner, more custom look. All Sales Mfg. offers emblems for both front and rear logos on most vehicles. All hardware is included, and installation is a breeze.